Durant had decision made prior to meetings this weekend……..
Logic says Kevin Durant had made his historic decision on the next five years of where to play before meetings began this weekend. The Thunder superstar will announce his team of choice shortly. And with a decision of such magnitude to be announced after just completing meetings says Oklahoma City is his choice. If Durant was really thinking about moving his career somewhere else, he would not make that decision within hours of a last meeting with the Heat/and or Thunder. He is not under any pressure to make his final destination today or tonight, or tomorrow morning. This is not a hurry up split second decision to be made. 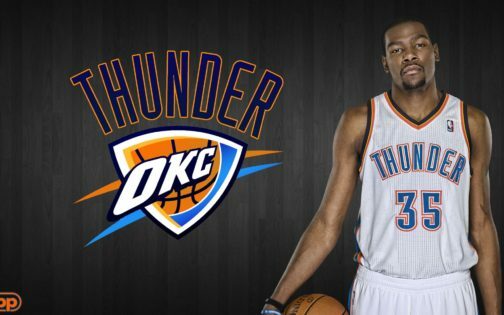 Durant, under any assumptions and speculations, will re-sign with the Thunder, and as I have predicted for over two months, signing a max contract for five years. Bank it.